Gates / Harris adjustable input pad. 0, 20, 40. 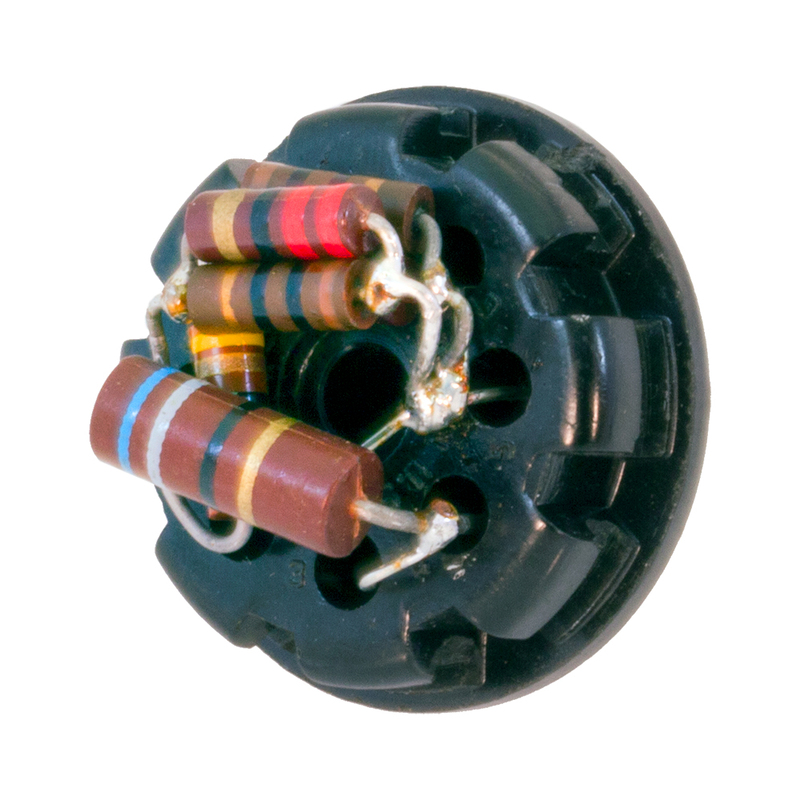 8 pin octal plug with resistors inside. Metal black shell. Mfg. P/N: 9265167001. Plastic jack as used on all Collins ham equipment. Miniature hardware (nuts, bolts) to replace drilled out rivets. Standard Switchcraft 0.203" jack as found in most Collins equipment. 3 circuit. Quality all metal, nickel plated RCA male plug. The quality you want for home brew Collins patch cables. Two pin microphone connector. Fits vintage Collins, Heath, etc. Made by Cooper Instrument. 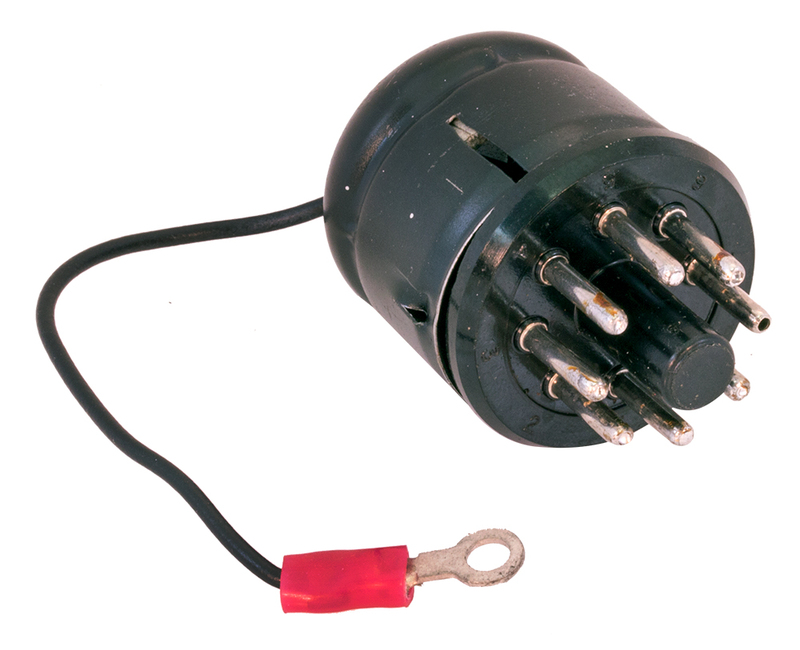 Female socket for power connection on 75S receivers, 516F-2 and 32S or KWM-2 interconnect, plus Heath and many other ham sets. 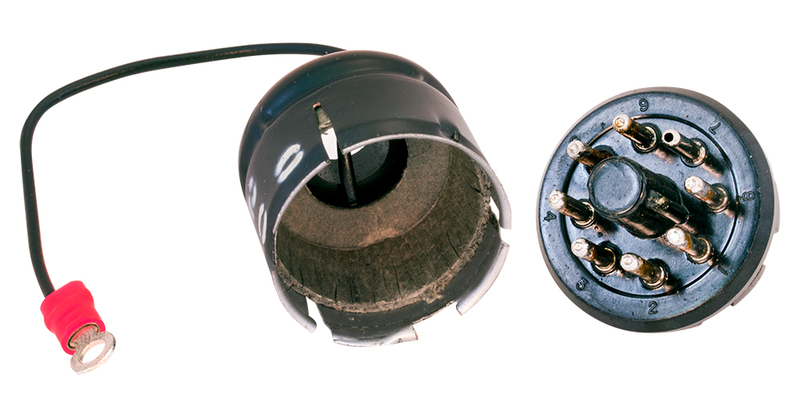 Female socket for power connection on 51S-1. Amphenol, high quality bakelite, high temperature, recessed mount. Mounting flange 1-5/8" overall; 0.137" diameter holes; 1-3/8" c-c. 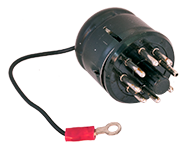 Male plug fits chassis power connection on 75S receivers, 32S or KWM-2s. Also use for extension of interconnect. Metal back shell hood with strain relief for larger cable, i.e. interconnect.